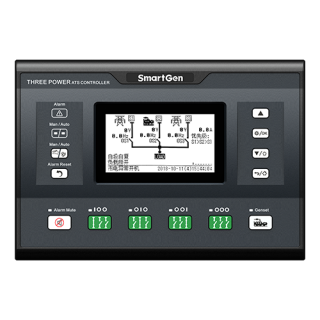 HGM6100U2C series automatic controller, integrating digital, intelligent and network techniques, is used for automatic control and monitoring system of genset. It can carry out functions of automatic start/stop, data measurement, alarm protection and three “remote” (remote control, remote measure and remote communication). 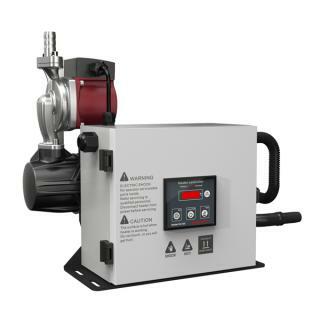 The controller uses LCD display, optional display interface including Chinese, English, Spanish, Russian, Portuguese, Turkish, Polish and French with easy and reliable operation. 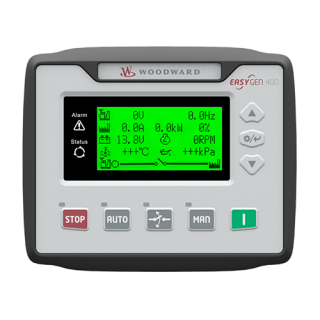 HGM6100U2C series automatic controller uses micro-processing technique which can achieve precision measurement, value adjustment, timing and threshold setting etc.. All the parameters can be configured from front panel or use or RS485 interface to adjust via PC. 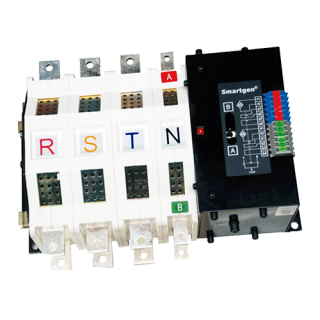 It can be widely used in all types of automatic control system for its compact structure, simple connections and high reliability. 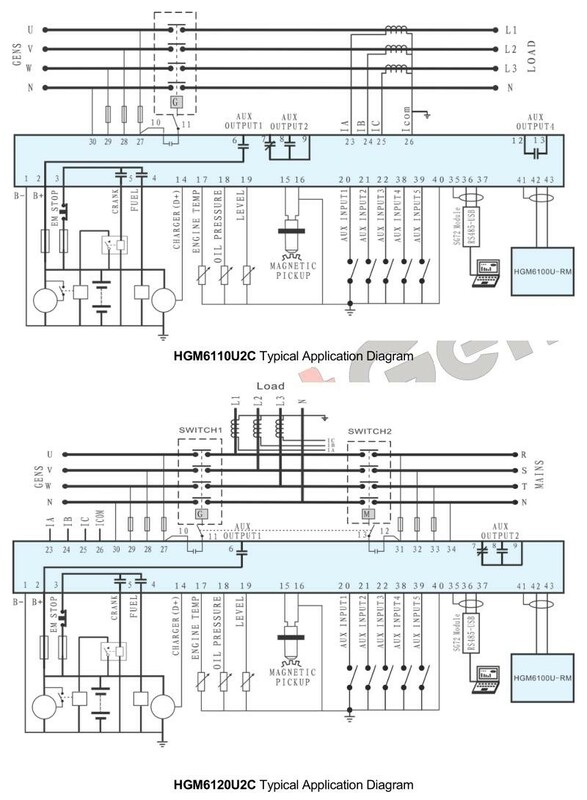 HGM6120U2C: Based on HGM6110U2C, it adds mains AC monitoring and mains/generator automatic switching control (AMF), especially suitable for the automation system composed by mains and genset.